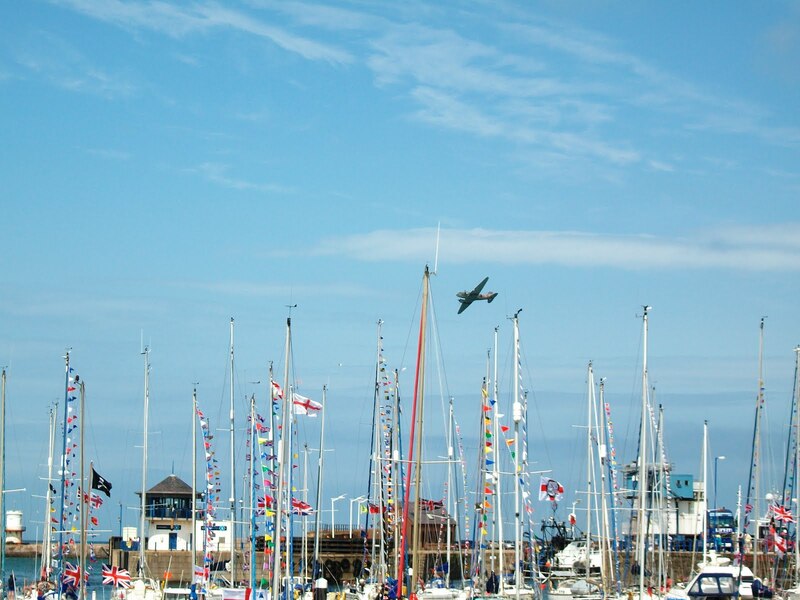 Coinciding with the Armed Forces Veterans Week at the end of June 2010 and the 70th anniversary of the Battle of Britain, organisers of the Whitehaven Festival, Cumbria organised several events to remember veterans of WW2 and later times. 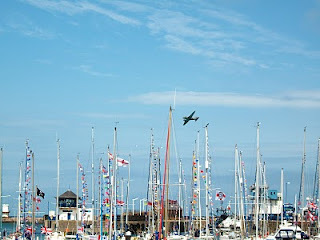 This included the Battle of Britain Memorial Flight (BBMF) Dakota and Spitfire putting on displays for the large crowds. It is one way to remind the post-war generations about what happened during the war and honour those who lived through those times. 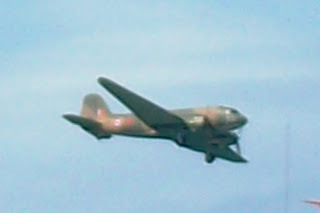 While the Spitfire is possibly the best remembered aircraft from the Second World War, the Dakota also played an important role in many operations during the war. This particular Dakota that is now with the BBMF was manufactured in March 1942 [Douglas C47 (DC3) Dakota ZA947] and initially issued to the USAF before transferring to the RCAF in September of the same year. In 1971 it became surplus to requirements and was sold to the Royal Aircraft Establishment at Farnborough and given the Serial No KG661. Subsequently it was allocated Serial No ZA947. In March 1993 this Dakota joined the BBMF and, as well as taking part in air displays it is also used for transporting ground crew and equipment to events throughout Britain and for training air crew from the BBMF in flying multi-engine aircraft.